Napoleon- Souvenirs.com presents its new range of unique products, published as part of the commemoration of the bicentenary of the Campaign of France 1814. We called on the talent of an enthusiast of the Napoleonic Wars to make a limited number of sculpture produced in France. After consultation, and on a cheerful note, we decided to represent a Cossack, a bit tipsy after a stint in a tavern in Montmartre; tavern, which would soon be called Bistro. The first couple of images have been made from the finished sculpture (bronze imitation), followed by those of the prototype (made out of red wax) during its development. 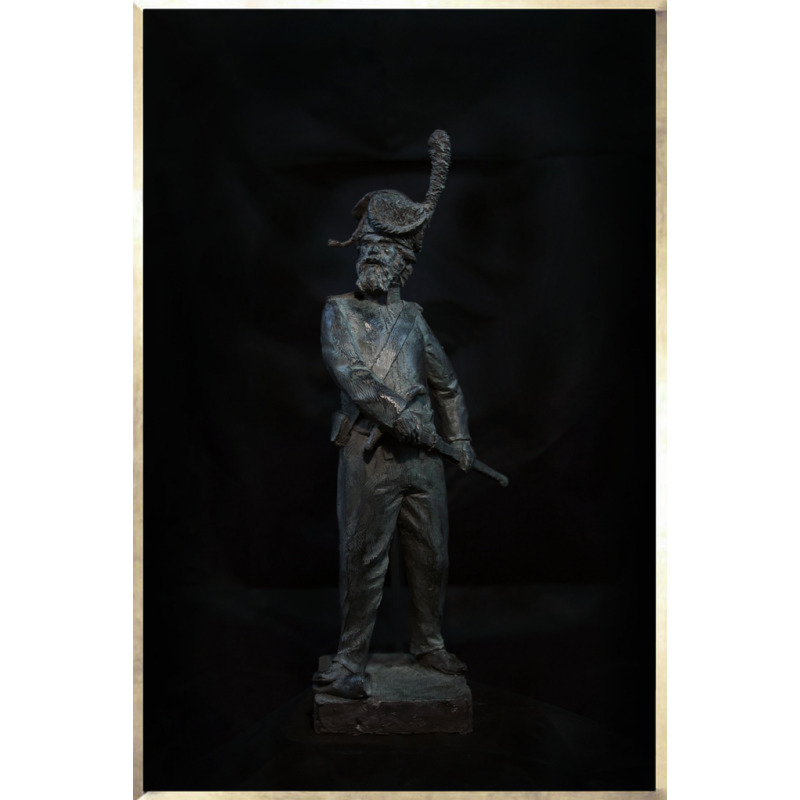 The Cossack sculpture measures 30 cm high and is limited to 25 numbered copies signed by the author. Because this is a handmade sculpture, a manufacturing delay of 3 weeks is required before delivery. For further information do not hesitate to contact us by email.